In this post, we will discuss for The best books for CAT (Common Entrance Test) and other MBA exams(Like- XAT, SNAP, FMS) Preparation. Here I will not only suggest best books but we also discuss for the alternative for CAT exam books. If you still not check CAT exam syllabus click here. When it comes to CAT exam preparation or books, the most puzzling questions are how to begin and which books must be preferred for most competitive CAT exam. Now your target is CAT 2018 or CAT 2019 or later, you have a sufficient time for final test preparation. I meet hundreds of aspirants every year who is a hard worker and are honoured inborn intelligence by God, but not able to crack CAT exam. When I discussed with them I found the real problem, they are facing is that they do not know how to and from which books they start the study and practice. 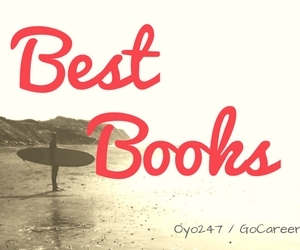 Well, in this post, we have listed the best books for the upcoming CAT exam preparation along with their price, authors and much more details. 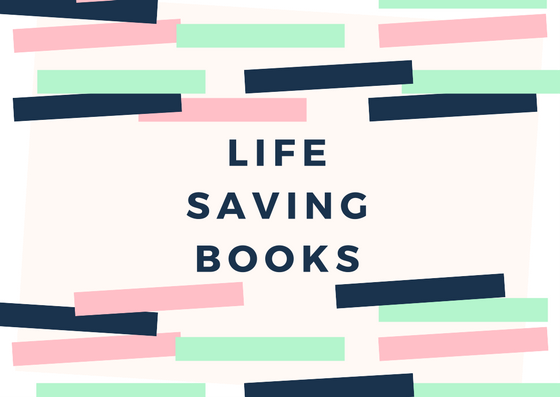 Also, We have listed best fictional/non-fictional books, newspapers, magazines which are good for CAT exam preparation and will help you in the final exam. Read this article further for more details on highly recommended books by CAT toppers for the preparation of this highly coveted exam. How to Crack CAT and other MBA Exams? How to Crack CAT Exam in First Attempt? If you are in hurry and can`t want to read the complete post then I will suggest you can choose these books which I am going to mention now. We are suggesting you these books by consulting experts of CAT and previous year CAT toppers who have scored 99+ percentiles, so I am sure if you choose among these books you will not go wrong. But if you have time to read this whole post you will find a full comparison among multiple books. Most of the candidates who are from north India offer says I am weak in English. If yes then I want to say don`t worry, Since English is a language so read English books I mean anything in English like magazine and newspapers as much as you can. This will give you a better understanding of English language. But keeping in mind candidates who are from Hindi medium background or not good in the English language, I have suggested some books. Word Power Made Easy is a book which helped billions of students in learning English vocab all over the world (I am also one of them). This book is written in a practical manner by Normen Lewis, once you complete this book you will start learning English vocab in a new way. Once you complete this book now you can go with 30 Days to More Powerful Vocabulary. This is also a good book by the same writer but o have not tried this book personally. If you have already good base over English then you can buy English Vocab Builder With Tricks. This book is available on goCareer platform. This book is very effective to learn and memorise highly moderate words, used of pictures and mnemonics is very helpful. Your current level of math decides how much works you have to do in this section. If math is a nightmare for you then you have to give special care to this section. Also, You can start with NCRET books but keep in mind Short Tricks are important to learn the concept. We have a book which will help you to learn short tricks as well as in understanding concepts. If you still not buy, you can download pdf. How can I start preparation for QA section? Arun Sharma is a well-known name among CAT aspirants since his books are simple and easy to understand, Arun Sharma`s books cover all type of questions. So if you are not confident in Quantitative part then you can start with Arun Sharma`s book, How to Prepare for Quantitative Aptitude for the CAT. How to practice more and more? If you are still not confident and wants more practice then I will suggest you can go with Abhijit Guha`s Book: "Quantitative Aptitude For Competitive Examinations" or Nishit Sinha`s Book: "The Pearson Guide to Quantitative Aptitude for CAT. Please note that Abhijit Guha book is full of tips and tricks so this book takes some extra time to cover, So if you have plenty of time only then you can buy this book. How to learn tricks or shortcut methods? You can make your own shortcuts by practice more and more or you can download PDF which we mention earlier, this PDF defiantly help you in learning short tricks in less time. How can I start preparations for DI & Logical Reasoning Section? You can start with Arun Sharma`s books "How to Prepare for Data Interpretation for the CAT" and "How to Prepare for Logical Reasoning for the CAT". 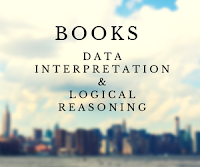 Data Interpretation & Data Sufficiency by Ananta Ashisha for DI and A Modern Approach to Logical Reasoning by RS Aggarwal for Logical Reasoning. For this section you can follow two books first is by Arun Sharma and second is by Nishit K Sinha. and The Pearson Guide To Verbal Ability And Logical Reasoning For The CAT by Nishit K Sinha. So, if your aim is only clear competition exam you don't need to read any magazine. But if you read few magazines it will prepare you for life ahead of MBA and during MBA. And I suggest you read diverse magazines for that purpose to cover a variety of aspects of humans life and society also. Which newspapers you should read? Novels reading not only help you in improving your reading skills but also help you in giving a better understanding of that topic. For eg- if you read more about the business you will get more understanding about business. We have divided your reading habits into 5 levels according to the level of difficulty, so if you are not good in English reading you can start from level 1st otherwise decide according to your current level.